Permadeath, hard foes, and roguelike gameplay are just some trials that await you in these Darkest Dungeon-like games! Made by Red Hook Studios, Darkest Dungeon sees you guide a team of heroes down the dim corridors of a Lovecraft-esque dungeon. The core gameplay is an addictive mix of turn-based combat and real-time side-scrolling. Darkest Dungeon isn’t a ‘pure’ roguelike game, though it does contain many familiar elements that define the sub-genre. To survive, you’ll need to strike a balance between avoiding permadeath (i.e. permanent death) while battling fierce foes amid random battle scenarios. You’ll also have to manage your characters’ delicate Stress levels to avoid negative afflictions. In addition, dungeons are procedurally generated, thus ensuring a good degree of replayability. Moreover, the game features numerous RPG aspects, inviting you to utilise new equipment, upgrades, and items to bulk up your small army. In short, games like Darkest Dungeon thrive on toughness, customization, and strategy. Thankfully, Darkest Dungeon isn’t the only title of its kind. Here are 10 challenging strategy games like Darkest Dungeon worth looking into! Note: The games listed here do not possess all the qualities that make Darkest Dungeon unique. For instance, some may have permadeath while others might not. However, many Darkest Dungeon fans have expressed their love for these titles for offering somewhat similar gaming experiences. Also note: when used, our definition of ‘roguelike’ is loose and flexible. This is partly due to online ambiguities / contradictions surrounding the term. You may first think the XCOM series shares very little in common with Darkest Dungeon. For starters, the two have very different themes (i.e. one is sci-fi, the other a gothic dungeon crawler). However, you’ll quickly find XCOM to be one of the most cited collection of games like Darkest Dungeon on both Reddit and Steam. Looking deeper, it’s easy to see why – especially with Enemy Unknown. 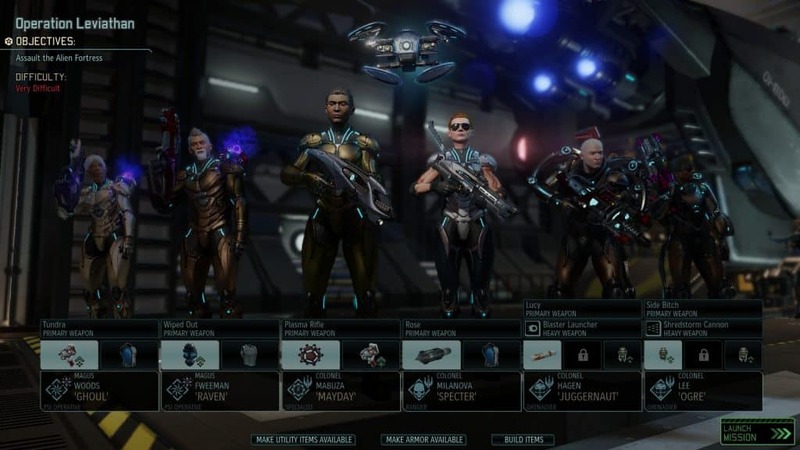 With the Long War mod installed, this XCOM game changes from vanilla into a tough-as-nails affair. You’ll manage a deep roster of soldiers, giving them time to rest between missions as they face off increasingly clever enemies. Additional classes have also been added, further widening your turn-based strategy options. Like Darkest Dungeon, the mod isn’t afraid to throw you unexpected challenges in the form of new random events. With the right settings (e.g. turning on permadeath, etc. ), the XCOM series gives you some of the best games like Darkest Dungeon around. You’ll surely want to give this franchise a try! Please note that, as of this writing, Long War 2 for XCOM 2 is still in its early phases of patching. Read more honest reviews of the XCOM series. Also check out 10 Turn-Based Strategy Games Like XCOM. 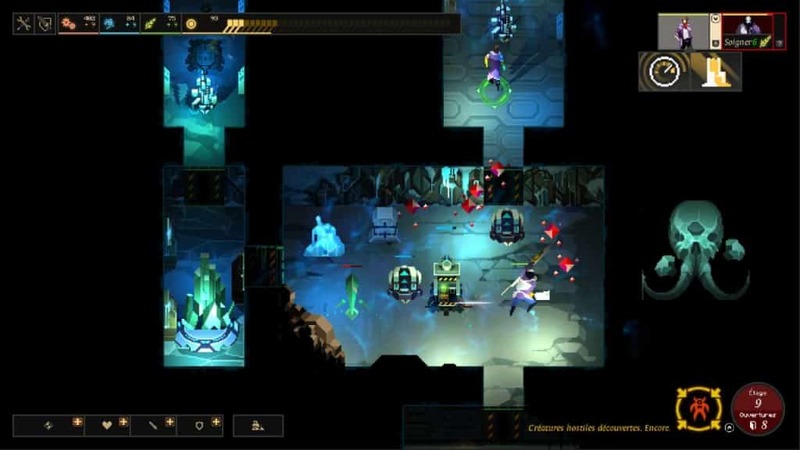 Dungeon of the Endless is a roguelike dungeon game that doesn’t hold back in difficulty. You play as a survivor of a crashed pod from a prison ship. The aim is to make your way through various corridors back up to the surface. Similar to most games like Darkest Dungeon, you’ll gather a team of fighters to face off against tough enemies in mostly turn-based combat (technically, it’s room-based with pausable real-time clashes). Permadeath also looms. In addition, levels are procedurally generated, thus inviting for multiple playthroughs. Dungeon of the Endless’ defense element makes it a bit different from other games like Darkest Dungeon. For example, during particular sections, you’ll need to protect your crystal carrier from hordes of attacking monsters. However, similar to Darkest Dungeon’s RPG aspects, you’ll spend a fair amount of time unlocking upgrades and perks for your team. All in all, Dungeon of the Endless sits comfortably among other games like Darkest Dungeon – albeit with its own gameplay twist. Read more honest reviews of Dungeon of the Endless. The Spirit Engine 2 is yet another title discussed alongside other games like Darkest Dungeon. There are of course some key differences. For example, battles in The Spirit Engine 2 are real-time rather than turn-based. However, like Darkest Dungeon, you’ll fight from a side-scrolling perspective. You’ll also swap positions among upgradable squad members. The spot a character occupies affects the damage he / she dishes out and receives. Story-wise, you’ll find The Spirit Engine 2’s narrative to be slightly more fleshed out than Darkest Dungeon. Most fighters you choose will have his / her own backstory and trigger events. The main plot is also of a larger scope, featuring an epic conflict between two fictional nations. All in all, The Spirit Engine 2 is one of the best strategy games like Darkest Dungeon available. Plus, it’s completely free! Perfect if you aren’t too fussed at the lack of turn-based combat. Download The Spirit Engine 2 for free. Dankest Dungeon was directly inspired by Darkest Dungeon and programmed by one man in just under 72-hours. And, for what it is, you’ll find this freeware to be actually pretty awesome! 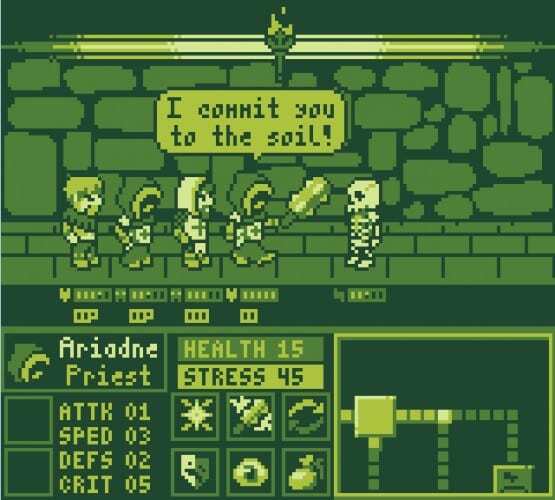 This game bills itself as a ‘demake’ of Darkest Dungeon, styled after classic Gameboy games. Above all else, you’ll be happy to know Dankest Dungeon’s core mechanics stay largely faithful to the original. For instance, you’ll have to switch squad members’ positions as you face off against tough monsters. Each character class also has its strengths and weaknesses. In addition, high levels of Stress may inflict various combat-affecting Quirks. You’d moreover best be prepared to die a lot. Among games like Darkest Dungeon, Dankest Dungeon is by far the proudest homage to Red Hook’s masterpiece. It’s also free for you to download. Download Dankest Dungeon for free. On the surface, FTL doesn’t look anything like Darkest Dungeon. For one, the game adopts a top-down perspective set in a sci-fi universe. Nothing Lovecraft-esque about that! Yet, online, you’ll often find it lumped in with other roguelike games like Darkest Dungeon. This is partly due to FTL’s unforgiving yet rewarding difficulty. Permadeath lurks, causing you to play with persistent fear and care. You’ll also have to handle your ship’s crew, trying to keep them alive while balancing power distributions. In addition, upgrade trees are vast and flexible, giving you incentive for multiple playthroughs. Akin to many games like Darkest Dungeon, FTL’s world is randomly generated. Enemy types and key events are also unpredictable, thus forcing you to evolve your strategies on the fly. The game’s graphics may be simplistic. 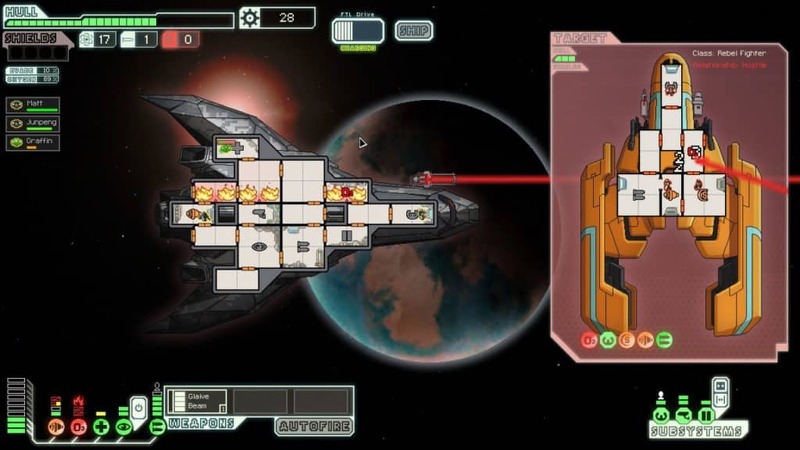 However, don’t be fooled: FTL contains incredible gameplay depth. FTL enjoys an ‘Overwhelmingly Positive’ score on Steam, making it a must-try for you despite it’s varied execution. 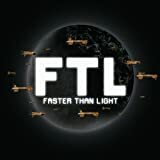 Read more honest reviews of FTL: Faster Than Light.